Snakes are to be found all over the world. There are many kigo related to the snakes and their seasonal customs. Let us look at some.
. mountain snake, yamakagashi ヤマカガシ, 山棟蛇. Snakes are wonderous creatures, the little brothers of the heavenly dragon. They do not have any limbs yet they advance fast. They have no eyelids or outer ears. Their tongue is long and split in two. They are a global topic of many mythological tales, just remember the Paradies story of Adam, Eve, the Apple and the snake. The Great General, Aodaishoo, is a common snake in rural Japan and said to bring good luck to a home where he stays. We have many in the holes of the stone walls around the estate. The skins of a snake are worshipped in some parts of Japan and kept as a special item in many local shrines. If you are lucky to catch a living mamushi, poisonous viper, you put it in a bottle of strong rice shnaps and let it brew there for a year. Then this strong liquor is used as an antidote if bitten by a viper. It is also sold at expensive restaurants to enliven the low spirits of tired salaried workers.
. nagamushi　長虫 "long insect", snake . In the Edo period, snakes were considered as part of the insect realm. When they came out during the rice-planting season, the poisonous one's were quite dangerous. There was no real medicine to heal them, so people made use of amulets. A Habu is any of four species of poisonous snakes found in the Ryukyu Islands, Japan. Snakes living on different islands of Okinawa prefecture have slightly different features. The habus are viewed as having migrated to Okinawa over a prehistoric land bridge connecting the island to China. Habus are usually not aggressive; however they will bite if provoked. 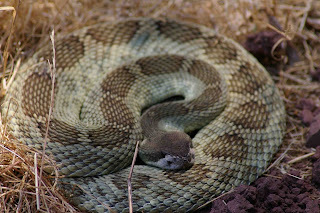 If one is bitten, it is excruciatingly painful and fatalities were not rare on Okinawa, though the snake's poison fatalities have been controlled on the Ryukyu islands. As in other places in 1910 the mongoose was introduced from India into Okinawa to control the population of habus but recent studies indicate that mongooses have not interfered with the habu, but instead prey upon other protected rare species of birds and reptiles. The habu does not properly hibernate during the winter, but is more active from April to late autumn. Okinawa residents are advised to keep weeds trimmed and avoid loose lumber close to their dwellings, or anything else that could attract the rodents upon which the habu feed. During the American occupation, when A-12 (and later the SR-71 Blackbird) planes were flown out of Kadena Air Base, Okinawa, the locals thought the strange and dangerous-looking planes looked like a habu, nicknaming them Habu. A habu was a prime player in a Japanese children's story called Miki the Mongoose. Bottles of (very expensive) "Habu wine" are widely sold in Naha, the capital of Okinawa prefecture; the habu venom present in the wine (along with a dead snake on the bottom) is reputed to increase male virility. Habu Kurage (Kurage means Jellyfish in Japanese) is the name used in Okinawa for the species of poisonous Box jellyfish Chiropsalmus quadrigatus. 'Habu' is also a nickname for the SR-71 Blackbird reconnaissance aircraft. Rattlesnakes are a group of venomous snakes of the genera Crotalus and Sistrurus of the subfamily Crotalinae ("pit vipers"). There are 32 known species of rattlesnake, with between 65-70 subspecies, all native to the Americas, ranging from southern Alberta and southern British Columbia in Canada to Central Argentina. Your haiku about rattlesnakes reminded me of a pretty gruesome custom that takes place in several States of America. I attended the Whigham, Georgia Rattlesnake Roundup when I lived in Florida back in the sixties. It was the first time in my life I’d seen hundreds of snakes in one place. I watched them milked for their venom, and watched as people tasted rattlesnake tidbits on toothpicks. I was horribly fascinated then, but today I feel quite differently realizing the rattlesnakes serve us well as our best rodent catchers. I’ve provided some links below to read one insightful accounting and a locator to show the extent of these roundups, plus a few arguments against this practice. It appears to be predominately a spring activity, although there is on January event and one June, I think. Rattlesnake Roundup Locater: Predominately a Spring occurrence, but not always. Today morning we had a morning drama with snakes in one of the premises near safari park hotel. The said snakes were in the bamboo tree. In Japanese history shortly before 1600, the Lord of Mino, Saitoo Toshimasa Doosan, was quite a formidable foe and had the nickname VIPER, Mamushi. The DRAGON is the bigger brother of the snake in Asian mythology. Read more in my Dragon Gallery. Read a discussion of this translation. Lit. "Snake Strawberries". They are quite a weed in our area. They are not poisonous, but not delicious either, so people rarely eat them.
. LOOK ! Gabi Greve, July 2006 . Literally, Issa addresses a "god's snake" (kami no hebi), thus identifying the setting as a Shinto shrine. This hokku is from the end of the fifth month (early July) in 1811, when Issa was staying in edo with various haijin. 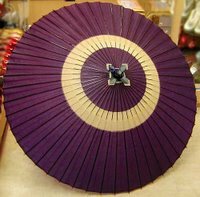 The hokku seems to have been written about something Issa witnessed at a Buddhist temple or Shinto shrine -- or at both simultaneously. In many cases temples and shrines shared the same precincts, with one or more Shinto shrines standing near the Buddhist temple halls, since Shinto gods were widely regarded as manifestations of Buddhas and were fused together with various Buddhas in the popular imagination (a situation that changed in the late 19th century, when the Meiji government demonized Buddhism as an alien, non-Japanese religion and forcibly separated temples and shrines in order to create state Shinto headed by the emperor as the new national religion). Issa says the snake is divine or godly. The expression could mean anything from the god's messenger to the visible form of the god himself or herself. In this case I take the snake to be the perceptible form of the god and therefore divine, since in the second line Issa uses an honorific verb form normally used only for high-ranking humans, Buddhas, or gods. It could be a physical snake, but since images of snake gods were common in Buddhism and Shinto, Issa may be evoking a stone statue of a snake god near a shrine or temple building. Statues could, for believers, be just as filled with the divine as a living snake. A stone statue, because it was a spiritual manifestation of the god, may have made Issa feel a sudden divine coolness in the midst of the summer heat. Many snake statues were placed near waterfalls or stone basins of pure water for use by pilgrims, so cool stone and cool water might be implied as part of the overall coolness, and in haikai a pine or pines can connote a cool breeze. Pines are also the trees preferred by Shinto gods for their divine descents, so the snake's godly stare might be communicating something to the tree. In the weeks before this hokku was written, Issa twice visited a special showing of objects of worship from the Buddhist-related Shinto shrine on Mt. Togakushi, a mountain near his hometown. One of the main gods of Mt. Togakushi is a great serpent god brought from India by Buddhists called Nine-Headed Dragon. It is possible that Issa saw a representation of this god and a divine pine and felt cold shivers or some other form of spiritual coolness. There were also many other statues of snake gods in Edo itself, mainly at shrines (within temples) devoted to Benzaiten, originally a Hindu goddess of music, artistic inspiration, fertility, water, and rain who fused with the Shinto fertility and rain god Uga, a snake god. Statues sometimes show Benzaiten as a head with the snake god Uga as her body or her headpiece, and sometimes stone snakes alone coil around just outside Uga-Benzaiten's shrine space or shrine building. Many legends to explore ! kuchinawa daija, orochi . . hebigami .